Introducing: Vegan Gyros & Meat Free Souvlaki! a new generation of Athenian Souvlaki! At the Athenian we take pride at being inclusive and creating a menu that is accessible to everyone! We've been trying for months to create the perfect meat free souvlaki. But let's start from the beginning. Our roots are the most important thing to us. And that's why it's vital to acknowledge that souvlaki as a traditional Greek dish to eat on the go has always been filled with meat. In fact the classic souvlaki from the old days is made with pork and tzatziki. A cuisine is something that's alive and constantly evolves. 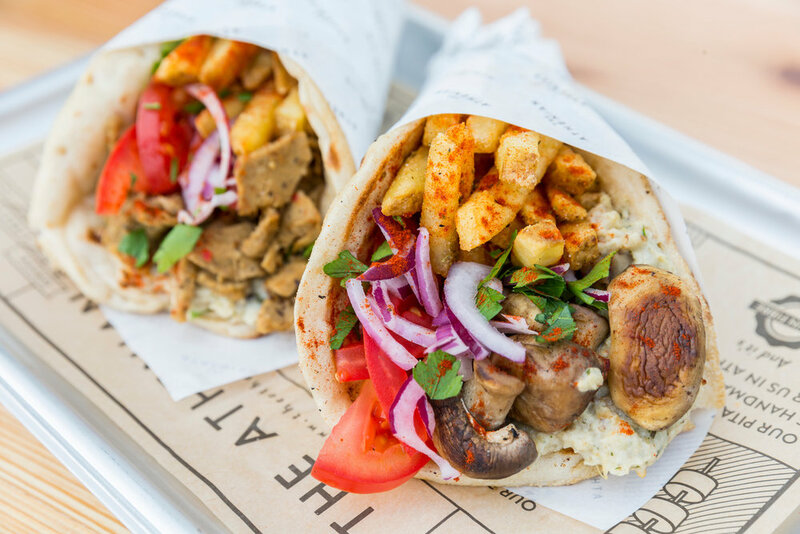 In recent visits to Greece we have seen a small but certainly noticeable tendency for souvlaki places to offer more options than before, especially in the capital, Athens. Souvlaki with Katiki cheese has made an appearance and even souvlaki with grilled mushrooms or kolokythokeftedes (courgette fritters). The souvlaki wrap is so versatile, it can be filled with pretty much anything a hungry stomach desires! 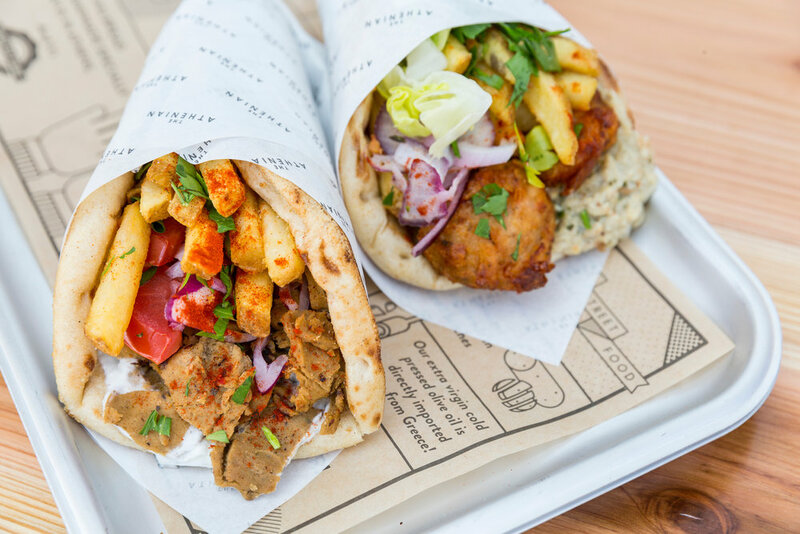 Since the early days of The Athenian we wanted to honour Greek street food as it's made back in Athens. We also want to be part of its evolution. When are you giving it a try? Available across all of our restaurants.